In an effort to increase the volume of trade between Tanzania and other trade markets within the global Emirates SkyCargo network, Emirates airline has announced that it will have increased passenger and cargo capacity beginning on October 26 following the launch of its second weekly Tanzania flight service. According to the Emirates Senior Vice-President of Commercial Operations in Latin America and Central and Southern Africa, Orhan Abbas, Dar es Salaam is a key destination for the company and will now be the second East African destination behind Nairobi to have access to increased flight frequency. “In our last financial year we carried over 180,000 customers on the route, and we are expecting further growth with the introduction of the second service, which will offer our customers more choice and convenience from Tanzania to Dubai and onward to Europe, the Middle East, the United States, India and the Far East,” he said. 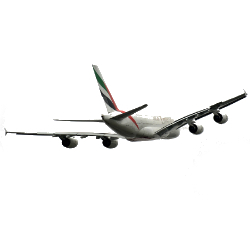 In 1997, Emirates began a twice weekly service between Dubai and Dar es Salaam through Nairobi, but increasing demand lead to increasing frequency over the years and, by 2006, the flight had become a daily non-stop service. The new flight will increase the total passenger and cargo capacity by 2,370 seats and up to 170 tons respectively with flights scheduled to operate on Monday, Tuesday, Wednesday, Saturday and Sunday.